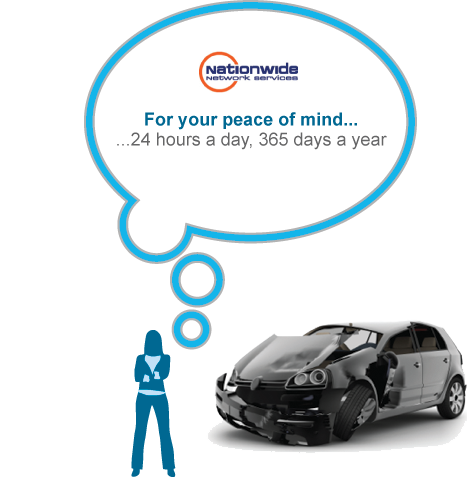 In partnership with Nationwide Network Services, Lease21 can provide a comprehensive Accident Management facility – 24 hours a day, 365 days a year. 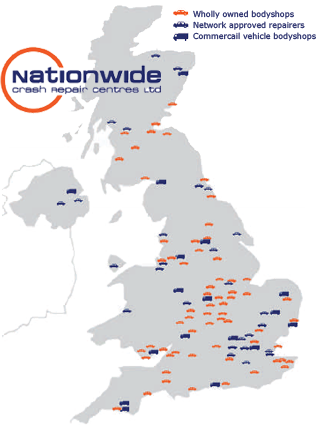 Nationwide Network Services is the accident management arm of Nationwide Crash Repair Centres, the UK’s largest wholly owned body shop repair network; they provide a one-stop-shop for accident management and repairs. From the repair experts in each of their 67 wholly owned body shops, 32 network approved repairers and 27 commercial vehicle body shops, to the valeter who’ll clean your vehicle thoroughly before it’s return, we work together to repair your vehicle fast and to the highest quality, minimising disruption to your business. We’ll work with you to develop a tailored accident management solution that meets your business’ unique requirements. So, after an accident, we’ll take care of everything – while you concentrate on what you do best… running your business.